Ever wonder what about the energy and stamina it takes to get ready for Opening night? Our student actors commit to 24 hours of rehearsals each week for over 6 weeks. And that's on top of their other studies. In this BackstagePASS, go behind the scenes with the story of one student's first rehearsal process. Second-year theatre student Asia Wolfe was cast for our November production of Yerma. This has been her first experience in the rehearsal process at the Phoenix and during the past 6 weeks, she has not only learned all her lines and stage directions, but she has also learned to sing in Spanish and become competent in basic flamenco dance steps and hand movements! All this, and she still get her got her theatre history essay in on time. However, as you'll read, the journey was also an emotional one. It’s ten thirty on a Thursday night. My feet hurt and I’m chowing down on a banana and some left over cornbread because it is quick and easy, appreciating the comfort of my bed more than I can say. However, while I am exhausted, I can safely say that along with the weariness and anxiety that is running through my veins, there is also joy pulsing beside it. Because like so many actors and actresses before me, I am now less than a week away from opening night, and it’s all becoming sharply real. The past month and a half has been a frenzied scramble to juggle class, homework, a job and rehearsal, but to be entirely honest, despite the fact that I have the least free time I've ever had in my life, I am at my happiest. Granted, I complain about my lack of a life outside the theatre, but I really only do it because it seems the thing to do. I can't bring myself to mean it. As I take stock of the last year, I find myself thinking of the hours I put in ushering for the Phoenix's production of Romeo and Juliet last November. I know these roles are important to the functioning of a theatre, but, as I drove home after one of the productions, it felt as though I, the lowly concession usher whose hands still smarted from the coffee I'd spilled on them that evening, would, could never work my way up to being onstage. But here I am, just a year later, preparing to open in a show. The past month has been so surreal for me, being a part of this beautiful, staggering collective project that has progressed from a group of people sitting around a table reading lines into a thriving, soaring creation that no matter how many times we rehearse it, I just can't seem to get over my awe. I am humbled by the dedication, passion and talent I find myself surrounded by. Every day with my cast is a revelation, both in terms of the play itself and indeed, in myself. A month and a half ago I knew practically none of the people in my cast. I lived at home for my first year and continue to do so, and am ashamed to admit that I was a bit of a social recluse last year. I can only speak for myself, but I feel as though these six or so weeks spent in each other’s company more often than not have forged bonds. I can confidently say that this, my first show with the Phoenix, has been the most positive and enlightening theatrical experience of my life. The cast meshes like we were made to work together, we have a fantastic director and production team who have done more than I though humanly possible to make this show exceptional. Every single person in this show has gone above and beyond any call of duty, and the commitment that I have seen during the creation of this show is intensely moving. It’s a terrifying thing to stand up in front of strangers – you the audience – and bare oneself and one’s work to their appraising eyes. But I find that beneath the customary butterflies, I have no fear of failure. Because when you know you’re there to catch the other people if they stumble, how can you doubt that they’d be there to stop your fall too? Tickets are available to the public after 5pm on day of performance, by phone or in person. Yerma tells the passionate and poetic tale of a young married woman as she struggles to become a mother in rural pre-revolutionary Spain. Trapped within the confines of an increasingly loveless marriage and judged by a repressive community, her escalating desperation leads her to an unconventional and reckless course of action. The play was written by Lorca, the controversial Spanish poet, playwright and director as a critique of his country's strict moral code. Join us for a free lecture on the first Friday of each production. This Friday, Dr. Marina Bettaglio will lecture on Yerma, or the Tragedy of Sterility: Set within the political context of the short-lived Spanish Second Republic (1931-1939), Yerma stages the conflicts of unfulfilled desire. This lecture is FREE to everyone. It will also be recorded and the audio file posted on the Phoenix website next week. Stay tuned! Deadline for Submissions for 2011/12 "Spotlight on Alumni"
LAST CALL! Final reminder to submit your alumni theatre projects to your old alma mater! The Department of Theatre invites our alumni to submit a proposal for the department's October 2011 "Spotlight on Alumni" show in the Phoenix Theatre's 2011/12 season. Click here for details. It’s a Phact! The University of Victoria was officially ranked one of the top 200 universities in the world. Recently lauded in an article in the Globe and Mail, UVic was ranked 130 against other university institutions in the Times Higher Education World Ranking. Dr. Monica Prendergast (Adjunct Assistant Professor / PhD ' 06)), and Juliana Saxton (Professor Emeritus) with the Department of Theatre were awarded the American Alliance for Theatre and Education (AATE) Distinguished Book of the Year award for their edited volume Applied Theatre: International Case Studies and Challenges for Practice (Intellect Books, 2009). This is Juliana’s second AATE DBA, the first was for Into the Story: Language in Action through Drama (2004) co-authored with Prof. Carole Miller, whose late husband, Dr. Harvey Miller, was a faculty member here in the department in the directing specialization. Timothy O’Gorman, Technical Director and staff instructor at the Phoenix was involved in the making of David Suzuki’s new film, Force of Nature. The film weaves together the esteemed Canadian environmentalist’s life and career with segments of an impactful lecture given at the UBC Chan Centre last December. It was favorably reviewed by the Globe and Mail last month as “the most convincing and fascinating argument yet heard on every person’s right to a clean Earth.” O’Gorman was the onsite Technical Director for the lecture portion of the film. Victor Dolhai (BFA'07) will be joining ten other young actors from across Canada to study under Martha Henry at the Birmingham Conservatory for Classical Theatre at the Stratford Theatre Festival. Birmingham is the only conservatory program in North America which concentrates exclusively on training for the classical actor and which actually takes place within a classical repertory theatre. All members of the Conservatory will be offered contracts for the 2011 Stratford Season. 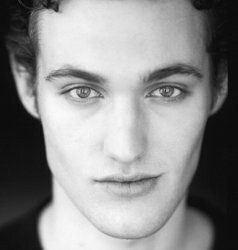 Victor made his Stratford debut this year appearing in As You Like It, and The Winter’s Tale. We look forward to hearing about his future appearances on the Stratford stage! Charles Ross (BFA '98) is home, but not for a break! He recently brought his globetrotting shows, One Man Star Wars and One Man Lord Of The Rings back to Victoria for fundraising performances for Intrepid Theatre. He sat down for a Q&A with Intrepid about his shows and possible new works. Really? Pride and Predjudice? Click here to read on! This past summer, The Other Guys Theatre Company, including theatre alumni Kelt Eccleston (BFA) and Ross Desprez (BFA '92) produced their show Good Timber: Songs and Stories of the Western Loggerinconjunction with the Royal BC Museum’s BC History. The project, inspired by a collection of poems entitled Rhymes of a Western Logger by Robert E. Swanson, also included actor/musicians John Gogo and other UVic alumni Colleen Eccleston, Sarah Donald and Mark Hellman. The creative team included musical director Tobin Stokes (BMus) and theatre alumni Keith Houghton (lighting designer) (BFA '01) and Erin Macklem (costume designer) (BFA '98). Attend the three remaining plays in the 2010/11 season at the Phoenix for only $33! That's up to 50% of the single ticket price! Click here to see our season on our website, download the subscription order form (PDF) or call the Phoenix Box Office at 250-721-8000.